Here's a quick update today. 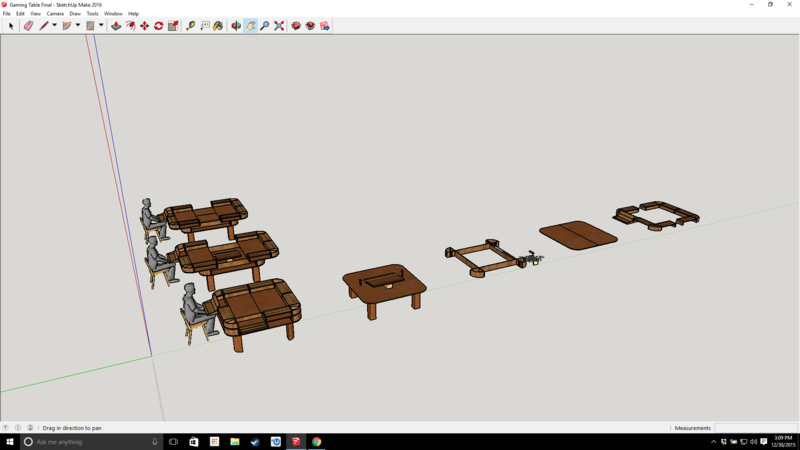 This is the final design of what's getting built here before it gets put into MasterCAM, where a friend of mine is going to be cutting some of the more complicated shapes on a CNC router. Ultimately, the only bells and whistles I really needed to add were outlets and some grooves for LED lighting. The current plan is to run the wires in the inner box. 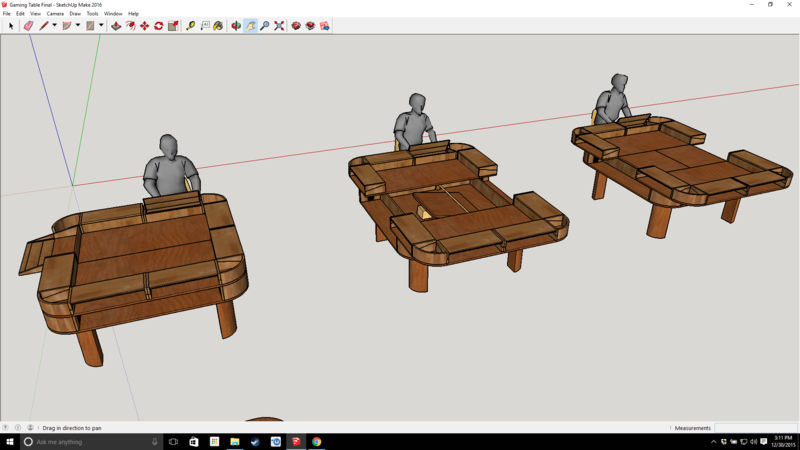 I'm thinking maybe this will just be the first of many tables. The skill necessary to make this table a reality will make this the equivalent of a certain $10k-$15k table. Maybe I got a business on my hands here?